Contains Gymnema sylvertre, oligopeptide, and other herbs to help boost your body’s metabolism. Helps suppress appetite and prevents fat from building up in your body. Helpful with weight management, cavity prevention, and even suppressing the urge to smoke. 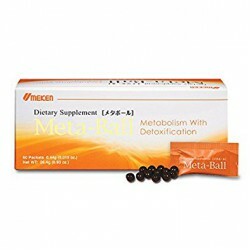 Umeken Diet Meta Ball supplements your regimen of healthy eating and proper exercise to help with weight management. Its primary ingredients - gymnema sylvertre, oligopeptide, and other herbs - help your body metabolize and eliminate unnecessary fat and sugar consumed through the meals. 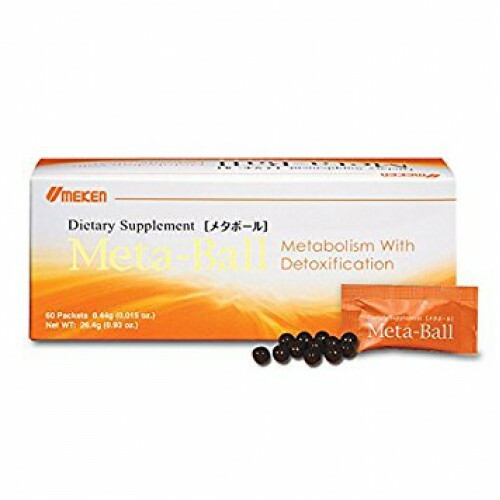 Take Diet Meta Ball with every meal, and lose weight the natural way! Gymnema sylvestre is a primary ingredient in Diet Meta Ball. It is an herb from the tropical region of India and has been used for centuries to prevent and manage high blood sugar level. Studies suggest that Gymnema sylvertre helps reduce blood sugar levels and prevent fat from building up in the body. Another main ingredient in Diet Meta Ball is oligopeptide. Oligopeptides are 8-12 peptides linked together which help metabolize fat before it sticks to our body.